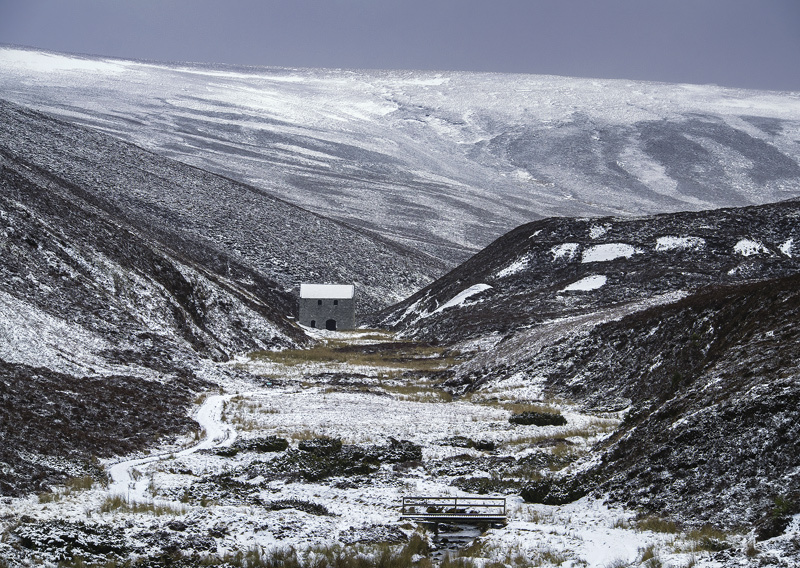 This solitary grey building nestled between the folds of heather clad hills gloriously dusted with fresh new snow is an old lead mill near the town of Tomintoul. I have always liked it and I think it is at its very best with a winter jacket and a glowing rectangle of clean white snow for the roof. the colours are muted but warm and the little meandering white footpath that leads to it all converge on the old building. I was very fortunate to have such a leaden grey sky over the snow clad hills as this helped define the slopes. Shortly after it snowed heavily.